Why run a pop up store? Lets be honest…. everybody is jumping on board and running a pop up shop. We all call it something different, Pop Up, Retail Concept, Flagship store but essentially we are all looking to achieve the same thing. Its physical…..its a space where you can actually engage with real customers or perhaps folk who aren’t even a customer yet. They may have just been passing by, going about their day and your swanky storefront, in a handpicked location interrupted their day and happened to spark their curiosity. A pop up store isn’t just about that single experience (let’s be honest most visitors will only pop in once) it’s an opportunity to take that one off visit and turn it into a real and genuine relationship. Your store has a single opportunity to ‘get your message across’ the store can essentially be executed in any way that you choose, yes cool tech is fun but does it deliver against your brand objectives? Remember, the store shouldn’t just be a gratuitous piece of activation; it does need to deliver against your brand strategy. You’re a new brand who has limited insight into their consumer or perhaps you have a new line extension that you want to shout about. So many communications now happen in a digital space; pop ups give you that opportunity to engage in this precious physical space. Education Education Education…Yes it’s that important we’ve said it 3 times. Perhaps the wording is a little dull but the sentiment is valid. Consumers need to understand a product and recognise their own need to truly engage with it. Communicate your product in a relevant manner which helps your potential consumer recognise how they ‘need’ your product. Testing…. this doesn’t have to evoke images of a testing lab. You may want to seed a new product to a very select core demographic, which is why geographical location can play such an important part in this process. When executed well, a pop up store will provide a brand with the opportunity to engage with new and existing consumers. It can allow the brand to reach consumers who may have had little or limited knowledge about it before entering this temporary space. You won’t necessarily see a pop up deliver significant revenue growth but activated well, you will see multiple relationships begin to flourish. 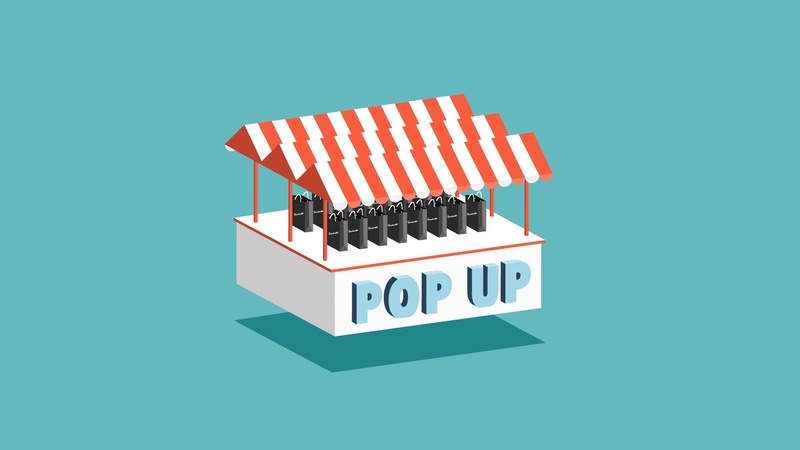 A pop up provides a springboard from which you can make your first positive brand/consumer impact and from that first moment build a meaningful, long lasting and mutually beneficial relationship. Will Amazon freshen up grocery shopping in the UK?